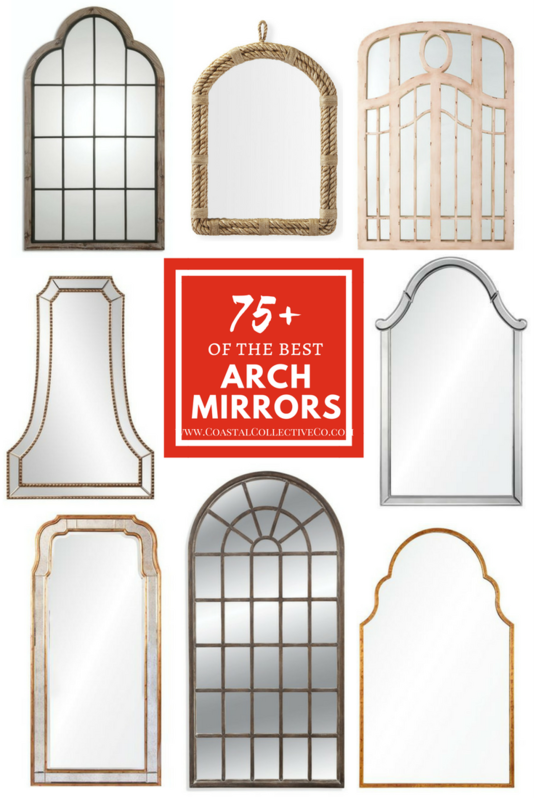 Over 75 of the Best Arch Mirrors for a Stylish Home — Coastal Collective Co.
Hello friends! Thanks so much for the love on my last post. It's a fun way to share some of the best home decor and style items, inspiring homes, recipes and more that I see throughout the week! One of the spaces last week by Wright Design (seen below) resulted in a TON of messages and comments asking for the mirror source. Although I'm uncertain about the exact source of the arched mirror used in that bathroom design, this arched miror is very similar and inspired today's blog post to round up arched mirrors available online. There are SO many great options out there with different finishes of metal, wood, coastal rope edging and more. This tall arched mirror and this more affordable alternative is a favorite for layering two to three in a row side by side. And this gold arched mirror is a beautiful option to add a little glam to a space - our girls would LOVE this mirror! Arched mirrors have a beautiful way of being "grounding" at the base and adding a softness with the arch at the top.